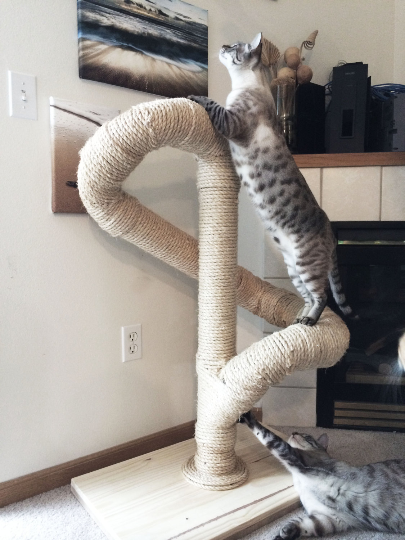 This was our first attempt at a cat tree. 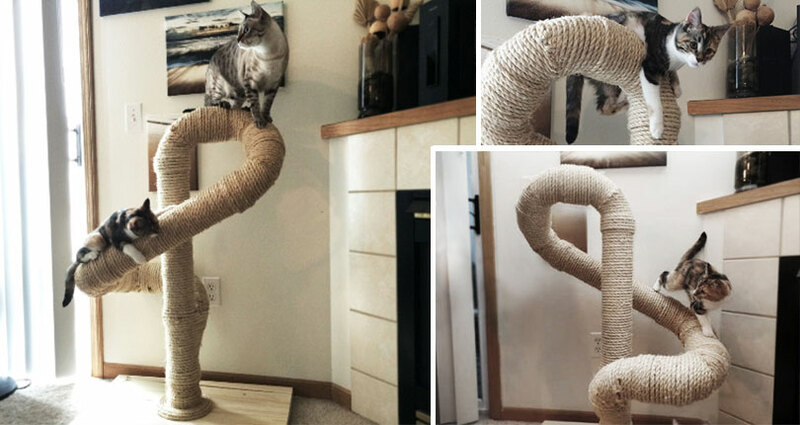 We really wanted something that cats could crawl through like tree branches made of sisal. We still have one of these at home, and our cats really like it. We stopped making these because we never really figured out a great way to wrap sisal rope around a curve, and also because several of them broke in the shipping process. Wish you could make one for me!